The European migrant crisis is forcing a sharp rise in human rights risks in European supply chains. This includes the UK and Germany, which have moved up from ‘low’ to ‘medium’ risk in the annual Modern Slavery Index, released by global risk consultancy Verisk Maplecroft. In fact, modern slavery risks have risen in 20 of the 28 member states of the EU over the last year, the research finds – a reminder of the importance of transparent supply chains and efficient due diligence. The study ranks 198 countries, assessing them on the strength of their laws, the effectiveness of their enforcement and the severity of violations. The higher the rank, the higher the risk. Verisk Maplecroft points to the arrival of migrant populations in Europe as a key contributor for the increase in slavery, who it says are “extremely vulnerable to exploitation” across multiple sectors, including agriculture, construction and services. The five EU countries posing the highest risk are Romania, Greece, Italy, Cyprus and Bulgaria – countries that are key entry points for migrants into the region. Romania and Italy, in particular, are highlighted as being the two EU countries with the worst reported violations, including severe forms of forced labour, such as servitude and trafficking. 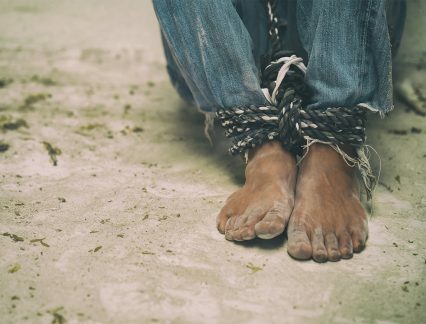 Romania rose as many as 56 places to rank 66, and is thus deemed as the country with the most deteriorating slavery situation globally. Italy, which comes at place 133, is up 17 places from last year, and Verisk Maplecroft expects the country’s score to only worsen over the next year due to “geographic shift in migrant sea arrivals”, with the agriculture sector being at especially high risk. Greece remains a key destination for human trafficking, the consultancy says. The country moved up 16 places in the index to 129 – this despite a dramatic fall in immigrants in Greece since the 2016 signing of the EU-Turkey Refugee Agreement. “Even the EU’s biggest economies are not immune to the rise in slavery risk,” the report says, pointing to Germany and the UK, which slipped from the ‘low’ to ‘medium’ risk category after a slight negative shift in their scores. This is attributed to gaps in the UK’s labour inspectorate and Germany’s uptick in recorded trafficking and servitude violations. Outside of the EU, Turkey experienced the world’s second-largest jump in the index, from 110 place up to 58, thus moving into the ‘high risk’ category. This was triggered by various factors, including the Syrian refugee influx, Turkey’s restrictive work permit system and the low priority for policing labour violations. While key manufacturing hubs in Asia have traditionally been in focus when companies assess human rights risks, there is good reason to take notice of the developments in Europe, says Sam Haynes, senior human rights analyst at Verisk Maplecroft. “The migrant crisis has increased the risk of slavery incidents appearing in company supply chains across Europe. It is no longer just the traditional sourcing hotspots in the emerging economies that businesses should pay attention to when risk assessing their suppliers and the commodities they source,” he says. Human rights issues not only pose a huge reputational risk– they could also become a legal one, especially with emerging legislation on modern slavery and human rights appearing in the UK, France, the Netherlands and Australia. Verisk Maplecroft’s findings come just a few weeks after a study revealed huge weaknesses in companies’ efforts to secure responsible supply chains. Surveying business executives from corporates around the world, the Economist Intelligence Unit found that only 22% are addressing child labour concerns in the supply chain, 23% are actively tackling climate change, and just 32% ensure they aren’t sourcing from areas affected by conflict and violence. Despite this, only 2% of respondents thought their companies had irresponsible supply chains. On its findings, Verisk Maplecroft notes that despite the higher risk in Europe, the “top sourcing locations in the emerging markets should remain firmly on the radar of companies”. Bangladesh, China, India, Indonesia, Malaysia, Myanmar, the Philippines and Thailand, for example, all feature in the ‘extreme’ or ‘high’ risk categories. Ranked 21, China remains firmly established among the worst performing countries. The index’s highest ranking nations include North Korea, Syria, South Sudan, Yemen, DR Congo, Sudan, Iran, Libya, Eritrea and Turkmenistan.